I’m back from my second trip to Belize, and I’m happy to report that it was a success. Thank you so much to all of you who participated in the online fundraiser. 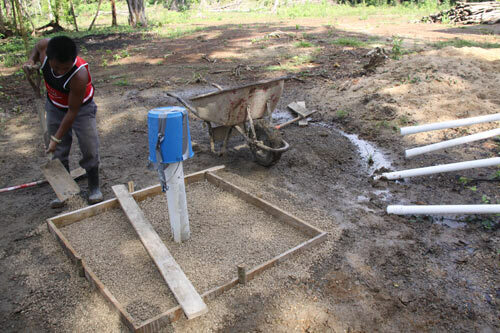 We were able to pay for the well to be installed at the orphanage, plus give a significant extra donation. So far we have given over $36,000 to various missions as a result of these fundraisers. Again, thanks to all who helped make this happen! Eric, congratulations! I sent you the dinero to help but somehow cannot find a link to get the items you offered in return. Cld easily be my fault! Cld you check for me? Maybe resend the link? Thank you! Great project and great pixs! I am based in the Caribbean not so far from where you were. Eric’s Tips Rules! We’ll be able to send you your download links right away! who really need to be reached out to. Nice pics,you sure can take good pictures. Now, we know why you are made to be successful in online business. God knows who would be deserved prolonged success for a good cause. Good begets good. Evil begets evil. Let us hope more legitimate online marketers can follow such kind footsteps side by side with you. Bless you! Bravo Eric , it’s heroic act that you did emanating from your noble character that we know mostly with knights and princes . with such philanthropic deeds we can diminish the so many sufferings around the world ! congrats ! eric, great job. God will continue to reward you effort. keep it up bro. 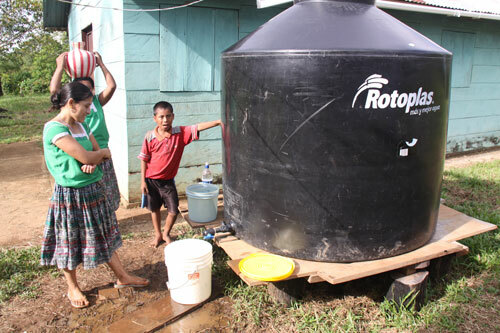 WOW, cool that these people in Belize have access to clean water, my god! Thanks for your work Eric! As well, thanks to all those helping on this project! If there would be a need for it I would be willing to assist by: Obtaining plants and/or budwood of good varieties of fruit and traveling on the next trip and teaching several of the people there how to graft plants. Besides improving the diet there would be a potential profit to the people from sales of higher quality fruit at market and sales of grafted plants to others. but the legs get caught in my teeth…I hate that! I’m happy I could share in this. I hope I can help out more in the future. Good Work Eric! i am thrilled that i just joined your group 20minutes ago. i have been webbing for less than i month now (introduced to internet just this year) and all internet marketers i came across where either impersonal, interested in my money only(dont have much money though). or have their own agenda to push, but you seem like a genuine person. our GOD the Father of our LORD JESUS will bless you richly for your heart is in the right place…HIS PEOPLE regardless of creed, race, color, or wealth. my only intendion was to follow you to make some money in I-MARKETING, but now that i see a humane side in you it is more the reason why i will continue to follow you daily. how can we send some of our church members to go with you on the mission trips in India and help in the ophanages etc. we are not a rich nation but we believe in giving to others out of what our God has blessed us, and we want to send out missionaries to missions in Asia and even the US and other western countries . PS: the thatched hut in the picture looks exactly like our style of house here in villages in my country Papua New Guinea. is Belize on the Pacific Coast or Atlantic? PPS, we have similarities with Belize in regard to poverty etc, but our fauna is at opposite ends. have you any photos of their wild animals? i heard they have the worlds biggest cats. we have the worlds biggest rats that grow up to 1 meter in length, lizards that stand on their hindlegs, and frogs that grunt like hogs. PPS. My wife has founded a womens group to help their members from allieviatin abstract poverty and also help other women and orphans in our country. we are trying to sell e’books, and photos of out fauna/flora to raise funds instead of just asking for donations. can you help us with some ideas? Hello Andreas, it is nice to hear from you. If you are serious about going to India I could probably connect you with my missionary friends there. Of course you would need to finance your own travel. I would also like to visit Papua New Guinea some day. As far as making money from the ebooks, my best advice is to follow all of my lessons starting from lesson #1. I think it’s great that you are trying to use the internet to help people in your country. Sounds cool… I will keep it in mind as they are planning on having a farm on the orphanage property eventually. Way to go Eric. You are doing some great projects and it is an inspiration to see how you help so many people. Keep up the good work. I think it is Great that you go on mission trips to help people around the world. It’s my prayer that I will get an internet business going so I will be free to go on mission trips myself and also be able to finance trips for others. You are the first internet entrepreneur with these values. You make a Great role model. not far away in the Muskokas. *I am an ardent follower of your lessons.& messages. However I still have not found time to setup a website,(due to a financial circumstance). i am impressed by your success. a group of us from colorado are about to leave on a medicl mission to belize, but some hope to help with the things you have been working with while we medical folks will be taking care of the patients. I think it’s great meshing of tallents when groups with different interests and tallents can mesh with one common goal. We love what you do. We are from the Colorado Adventist Group out of Denver. We arrive the end of Feb. We recently visited Rwanda again and had a stellar trip there. Wow that’s awesome! I pray you will have a good mission trip. 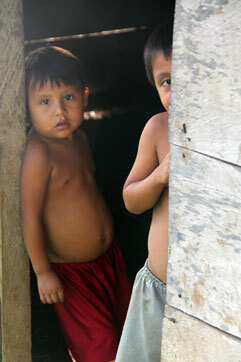 i am working on an educational project for independent living near san ignacio, belize and we need to dig a well. can you offer any suggestions, guidelines or stay away from tips? Thanks and you have excellent pictures of a fantastic job. 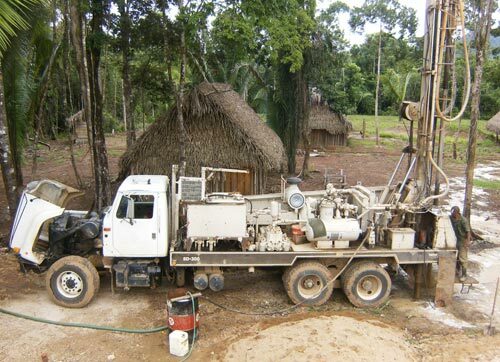 If you are able to get a truck in there and do a bore hole, like we did, that will be the easiest. Otherwise you’ll be looking at finding some portable well-driling equipment. There are only a handful of well drillers in the country, and their prices actually varied quite a bit. I think it kind of depends on how busy they are. 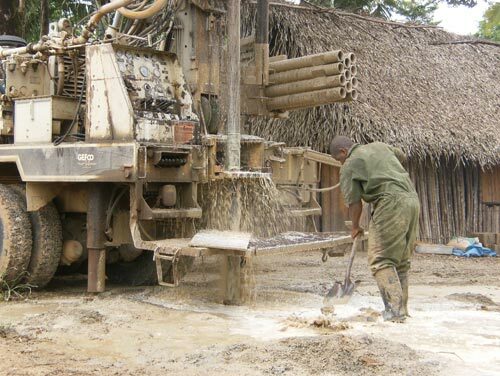 I don’t know the name of the well drillers we used, but you could probably find them just by asking around who owns the white drilling truck in the picture above. It’s such a small country, anyone in that field of work would probably recognize it. 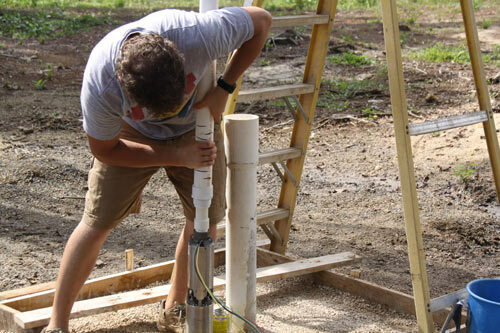 It also rains a lot there, so depending on your needs, a temporary solution may be as simple as a water catchment system with a cistern and a filtration system. My name is Mali and my family and I have been to Belize several times on mission trips. I recognized some of the things in your photos and was wondering what village you went to? Most of the time we are in the Toledo District and I was wondering where you guys were working? Thanks for your time, and keep up the good work!!! 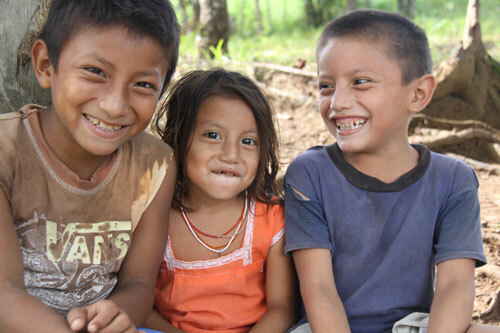 Yes, the orphanage is the Toledo District in southern Belize. Many of the photos are from Machakilha, a remote village accessible only by foot. 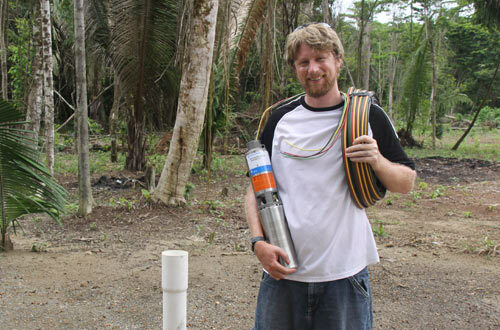 I was just perusing online for information about water projects going on in Belize and found your blog. I am heading to Belize over the holiday with family. I am hoping to be able to work on some community projects, especially with water, while I’m there. 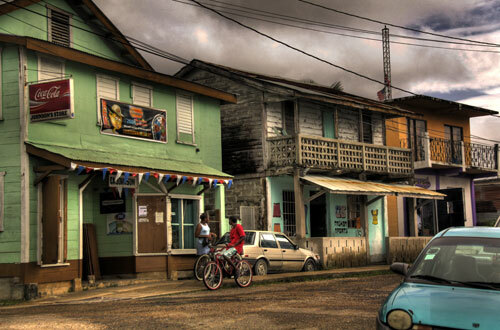 I will be in the Belize City and Abergris Cay regions over a ten day period. Do you know of any projects to get involved in the local community in those regions? Or are most development projects based in the Toledo region? Any info would be great. I am open to helping out in any way, but have field experience in water sanitation. Thanks! I don’t remember the specifics, but I think the drilling was around $3-4k. 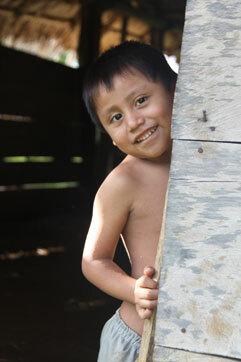 Happy to see you too like it in Belize. I spent a few months there last year and have some property in Cayo and on San Pedro. I plan on going back in the near future, perhaps we can hook up.